Text Rotating effect is one of the intersting thing using css3 animation. 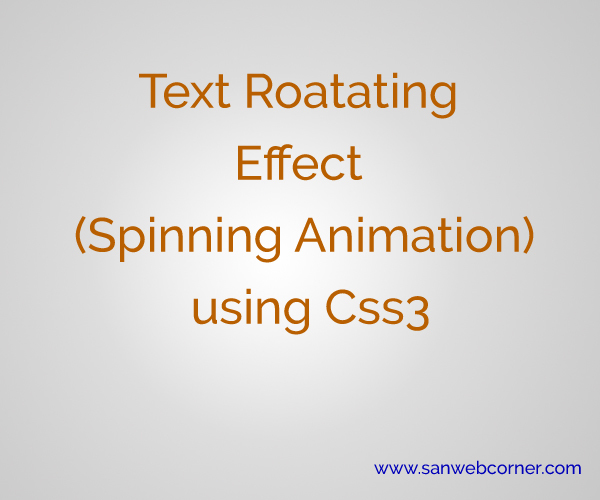 It is used to display the different text in using rotating(spin) effects. Rotating the text clock-wise or anti-clock wise using css3 keyframes properties. This effect is very simple to create. This is also helps who want the animated text in their webpages.Below example code and demos will helps how its looks.